The 2010 edition held in Saint-Malo is now over. It has been a great success, with over 430 delegates, great workshops and tutorials, entertaining keynotes, and panel, and excellent papers. We also had several scientific events: the ACM-W Athena Award Lecture, the Eckert-Mauchly Award Lecture, the ACM A.M. Turing Award lecture. Despite the strike, we hope you had a great time! Many pictures of the event have been uploaded. 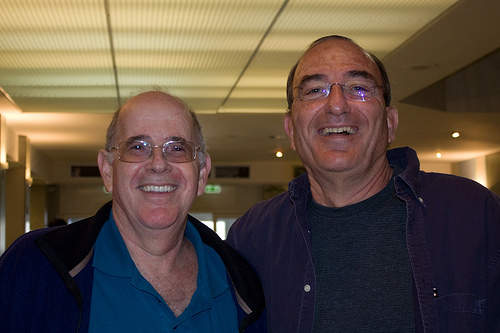 View the video of the ACM A.M. Turing Award Lecture. View the video of the ACM-W Athena Award Lecture. 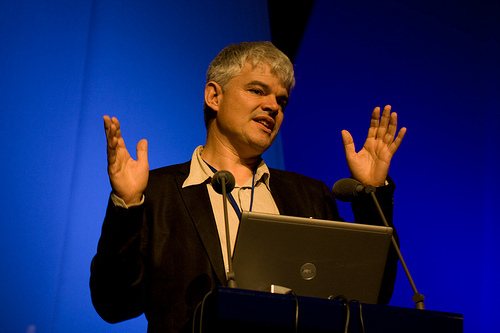 The ACM IEEE International Symposium on Computer Architecture is the premier forum for new ideas and experimental results in computer architecture. 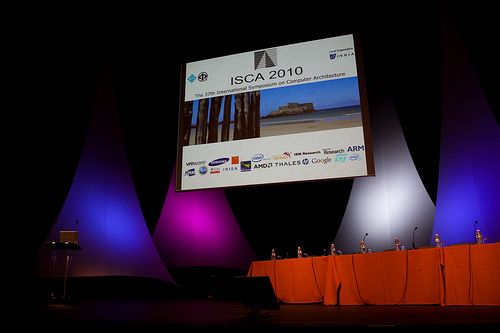 ISCA 2010 will be held in the amazing, beautiful Saint-Malo, France, from June 19 to 23, 2010.